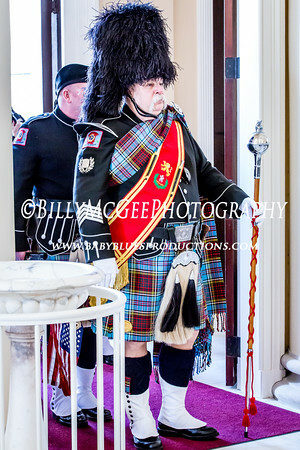 My day started during this gorgeous day of weather with attending and photographing the "St. Patrick's Day Parade Mass". Nothing like getting ready to start mass with the playing of some Irish Bagpipes marching thru the front door down the aisle, sure to get your attention immediately! Which took place at the Baltimore of the National Shrine of the Assumption of the Blessed Virgin Mary (Baltimore Basilica)". It was my first time visiting this place of architectural eye candy, looking at and capturing some of the cathederal ceiling was really spectacular in the glow of the sunlight coming thru. Following the mass, I then headed around the corner to the intersection of Charles and Mulberry Street, and snapped a few of the various runners who were warming up getting ready to do their 5k run. Approximately 30 minutes I met up with the rest of the family and friends to watch and photograph the 58th Annual Baltimore St. Patrick's Day Parade.